Anat Baniel is the founder of Anat Baniel Method® NeuroMovement®, a powerful practice that takes advantage of the brain’s remarkable ability to change itself for the better to heal body and mind. Anat Baniel was born in Israel, and she went to graduate school at Tel Aviv University to become a clinical psychologist. At the same time she pursued her passion for dance. She also worked as a psychologist for the Israeli Army for a number of years. Anat was looking to find a way to work with people that included movement and the feeling of self and the body. She always had a fascination with how the brain works. While in graduate school, she began studying with Dr. Moshé Feldenkrais. Anat has taken the seminal work of Dr. Feldenkrais and evolved it over many years, after observing extraordinary breakthroughs in her work with a wide variety of clients, young and old. She has worked with high-performing musicians and dancers, people suffering from pain and limitations, and an ever-growing number of children with special needs. This combination of clients led Anat to have profound insight as to how the brain learns and changes. She developed NeuroMovement®, a science-based approach that provides easy-to-use tools—the Nine Essentials—that transform people’s brains, and thus lives, for the better. Learn more about NeuroMovement® and brain plasticity science. 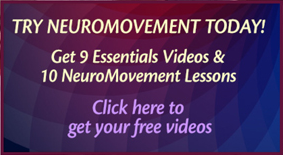 Click here to view the author video Move Into Life: NeuroMovement for Lifelong Vitality. 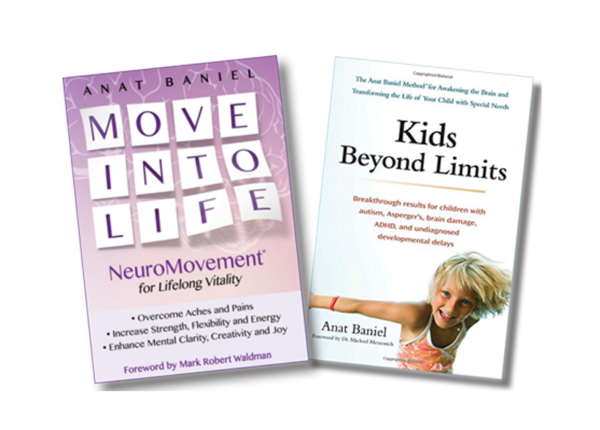 Click here to view the author video Kids Beyond Limits by Anat Baniel: Breakthrough Results for Children with Special Needs. and vitality, Move Into Life is a must. 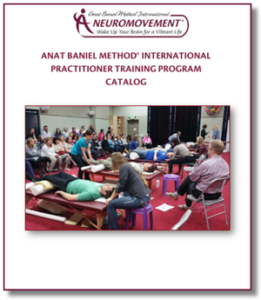 Anat Baniel is a Master Trainer and she has trained hundreds of practitioners in this NeuroMovement® Method. Her teaching is easy to follow, inspiring, and life changing. She and her team work out of the Anat Baniel Method (ABM) Center located in San Rafael, California. Over the past 30 years, Anat Baniel and her certified Practitioners have helped thousands of adults and children move beyond limitations to lead fuller, healthier lives. They have helped clients from five days old to 90 years old transform their lives physically, emotionally, and cognitively. View the videos below of Anat Baniel discussing the power of your brain to change.